Welcome to the website of Dublin based artist, Caroline Carroll. This is a selection of the work currently for sale. This collection is being added to all the time. 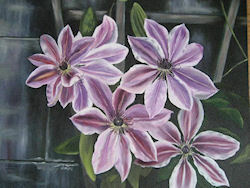 You can see a selection of my oil paintings in the gallery. If you would like further information on my work or details on how you can purchase the paintings, you can contact me here. My work is in private collections, right across Ireland, and also in England and America.